(Pat Bagley | The Salt Lake Tribune) This Pat Bagley cartoon appears in The Salt Lake Tribune on Sunday, Nov. 18, 2018. 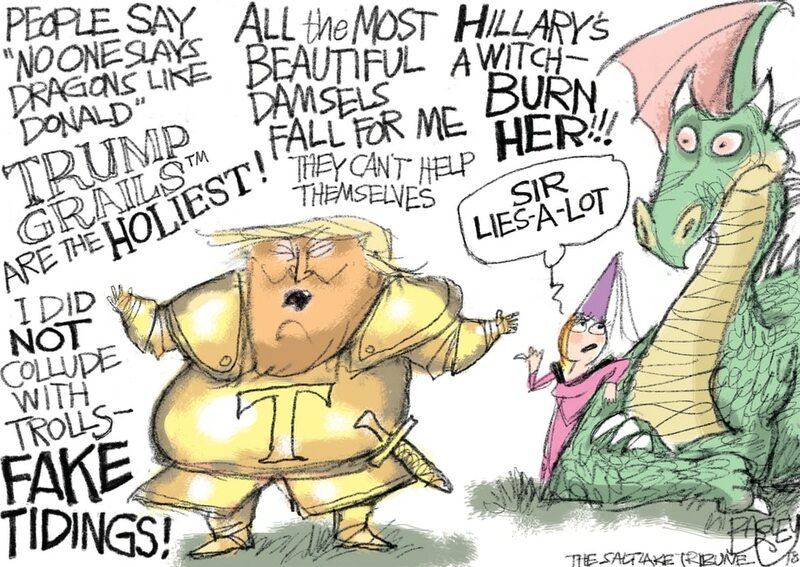 (Pat Bagley | The Salt Lake Tribune) This Pat Bagley cartoon titled Trump Lieth Liketh a Curr appears in The Salt Lake Tribune on Friday, Nov. 16, 2018. 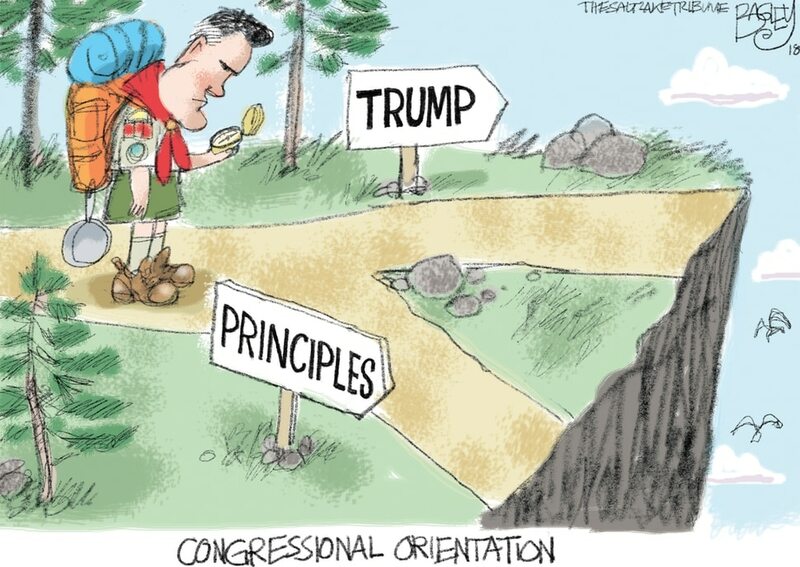 (Pat Bagley | The Salt Lake Tribune) This Pat Bagley cartoon titled Mitt's Moral Compass appears in The Salt Lake Tribune on Thursday, Nov. 15, 2018. (Pat Bagley | The Salt Lake Tribune) This Pat Bagley cartoon called Guns Create Jobs appears in The Salt Lake Tribune on Wednesday, Nov. 14, 2018. (Pat Bagley | The Salt Lake Tribune) This Pat Bagley cartoon, titled “Executive Time,” appears in The Salt Lake Tribune on Tuesday, Nov. 13, 2018. (Pat Bagley | The Salt Lake Tribune) This Pat Bagley cartoon titled Climate Denial Hot Take appears in The Salt Lake Tribune on Sunday, Nov. 11, 2018. (Pat Bagley | The Salt Lake Tribune) This Pat Bagley cartoon appears in The Salt Lake Tribune on Friday, Nov. 9, 2018. (Pat Bagley | The Salt Lake Tribune) This cartoon by Pat Bagley titled “Glued to the News” appears in the Wednesday, Nov. 7, 2018, edition of The Salt Lake Tribune. (Pat Bagley | The Salt Lake Tribune) This cartoon by Pat Bagley titled “A Hero's Wish” appears in the Tuesday, Nov. 6, 2018, edition of The Salt Lake Tribune. 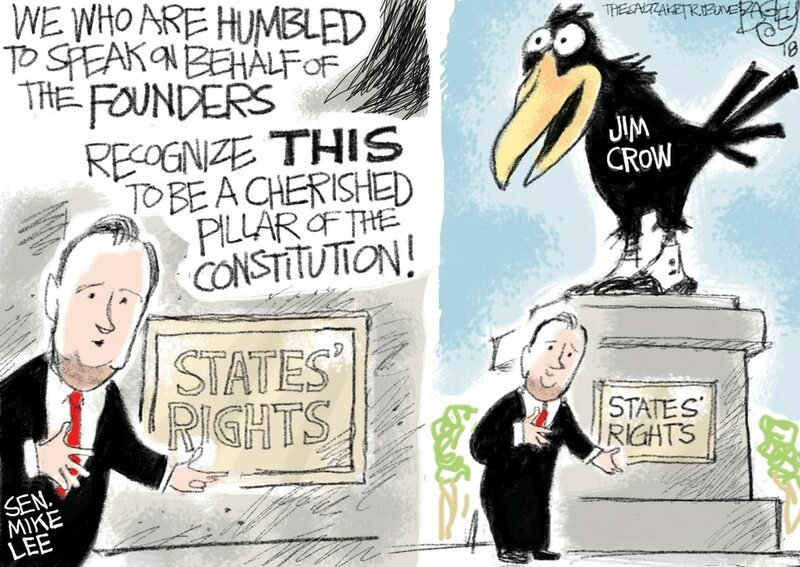 (Pat Bagley | The Salt Lake Tribune) This cartoon titled Race-Baiter-Chief appears in The Salt Lake Tribune on Sunday, Nov. 4, 2018. (Pat Bagley | The Salt Lake Tribune) This Pat Bagley cartoon titled Emotional Detachment ran in The Salt Lake Tribune on Friday, Nov. 2, 2018.